Burgers, Beers, and Basketball at MGM Grand Las Vegas Guys Weekend! The MGM Grand Las Vegas is the second largest hotel in the world by number of rooms and since it opened up in 1993, the hotel has transformed from the loose theme based on the Wizard of Oz into what I found last week - an AMAZINGLY COOL sports and entertainment themed experience that was about as awesome as you could possibly get for a Vegas guys weekend. It could have been that we happened to be there during the PAC 12 Championship basketball games and the contagious excitement from thousands of excited fans, alums, and players but I suspect that with their aggressive sports entertainment schedule including PBR, MMA, Boxing, and others that this vibe is not unique to the days we visited. 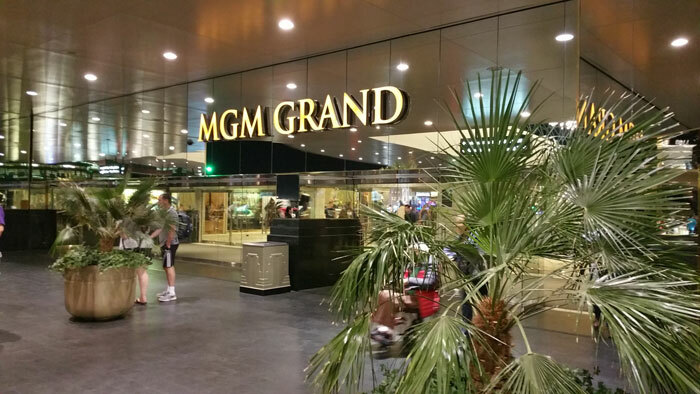 The MGM Grand resort complex is the largest in the United States, and includes a 30-floor main building, an outdoor pool complex featuring five pools, rivers, and waterfalls covering 6.6 acres, a 380,000 square foot convention center, the MGM Grand Garden Arena, and the largest casino in Clark County - spanning 171,500 square feet! 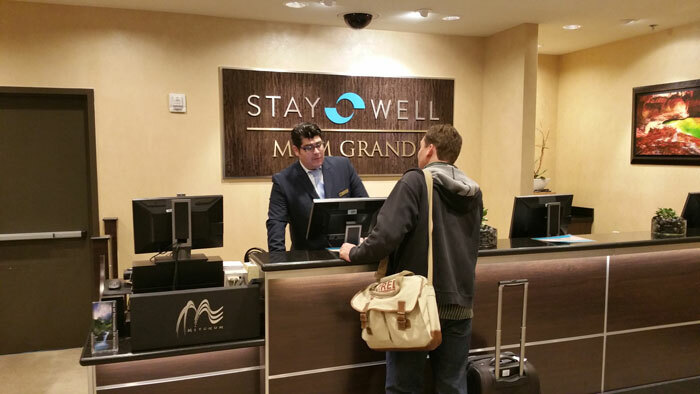 Our room for this trip was in the MGM Grand's Stay Well area - focusing on health and relaxation. We'll cover more about that shortly - it really is a very cool concept. Back inside the casino area it was clear that this is a "man's hotel" with all the glitz and glam of old Vegas, and clothing and gifts shops that were definitely targeting a different clientele than at Aria where we stayed following this. 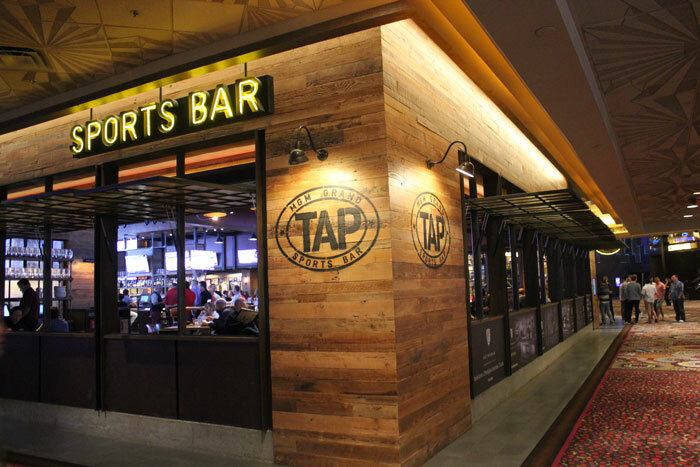 For dinner, we checked out TAP, a burgers and sports bar located on the casino floor. I was SUPER impressed that not only was the food great but the selection of beers was as well. This included not only West Coast IPA from Green Flash Brewing, but also Palate Wrecker. Though the manager admitted that while the later is popular among certain people it isn't for everyone - and at 9.5% ABV and about ~150 IBU I would agree (though I love it!). 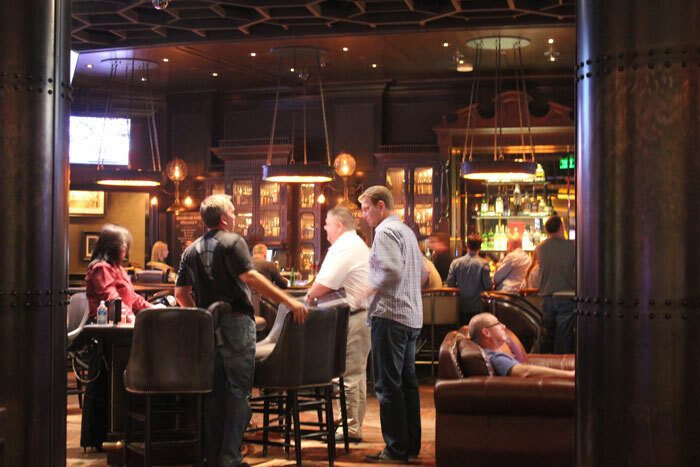 The venue also boasts more than 60 HD flat screen TVs and some cool sports memorabilia lining the walls. 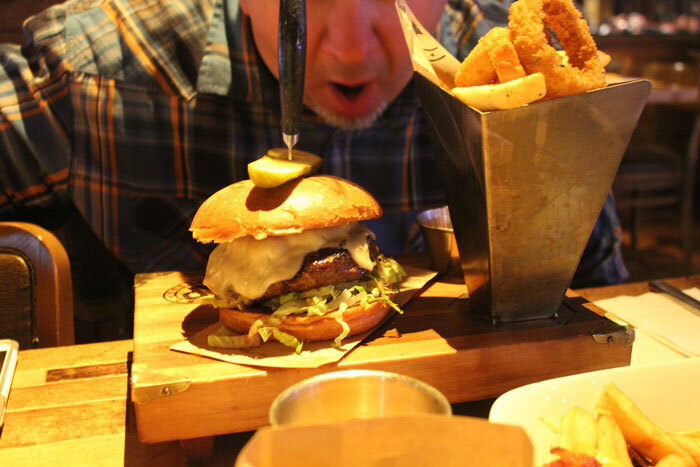 We'll share more from our dinner here but the burgers were massive! Just in case you were concerned that there might not be enough testosterone available, they were served on a butcher block with a steak knife through the top and the fries + onion rings were served in a stainless steel cone. For dessert, we had fried s'mores - one of the most deliciously over the top, ooey gooey, chocolate dripping down your chin treats I have ever had. Frankly - even if you are staying "somewhere else" TAP deserves a visit. It's that good. To further drive home that this is THE HOTEL for a manly man's guys weekend, right next to TAP is Whiskey Down, a fantastic whiskey and cigar bar. With a bar stocked full of 100 different whiskeys ranging from American to Scotch, Irish, and Cognacs there's something for everyone. 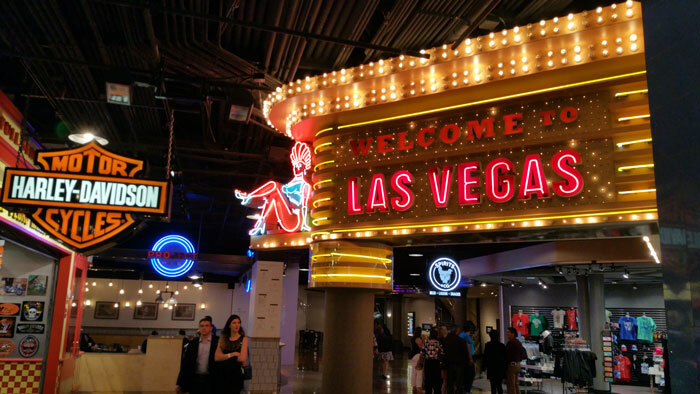 Plus, it is home to "the Last Drop" 1960 Scotch Whiskey, one of only 1,347 bottles every produced as well as various other rare signature barrels selected just for MGM Grand! 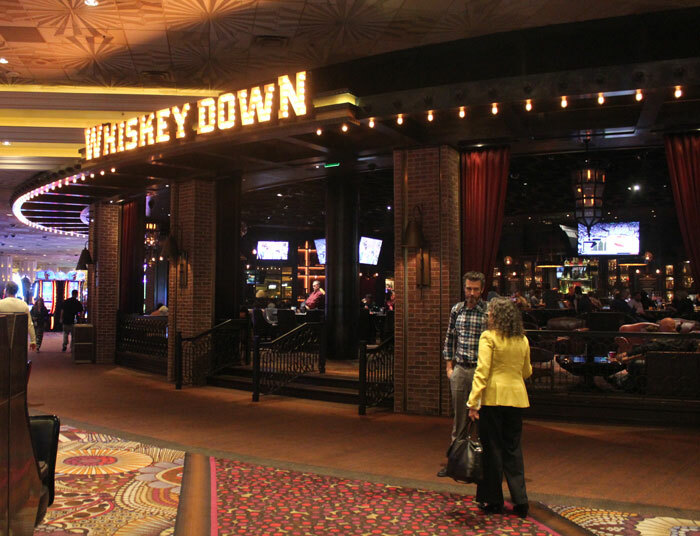 Whether your style is to play a hand of blackjack at the tables in the bar, grab a nightcap, or lay back in a plush leather couch and puff on a cigar while watching the game - Whiskey Down is sure to please! I can't really show you the rest of the evening but I'll let you just fill in the gaps on your own. Suffice to say, that by the next morning, the buffet looked awfully good. 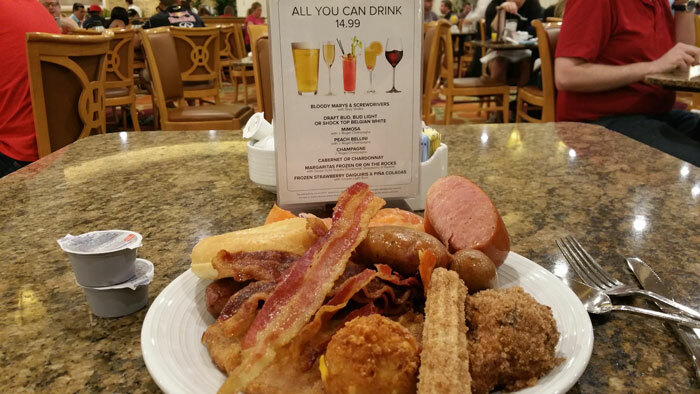 While less elaborate than some, there was no shortage of stuff for breakfast including - potato balls, churros, fried Twinkies, smoked salmon, bacon, omelets, and about 10 different types of sausage. 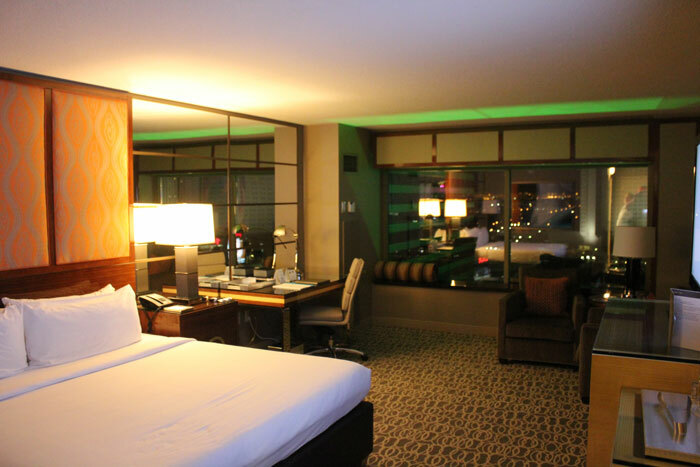 Plus, if you are looking to get your drink on - for only $14.99 you can grab the All You Can Drink beverage package featuring beer, wine, bloody mary and other alcoholic drinks. 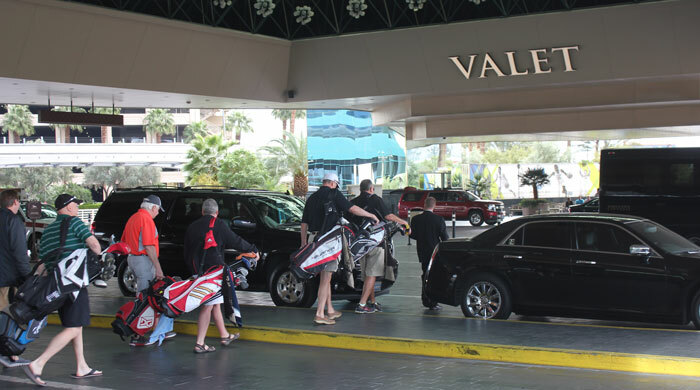 What you chose to do during the day is up to you - the concierge at the MGM Grand is awesome and had tons of ideas from golf to supercar driving experiences. And if you are high rollers (yeah right!) 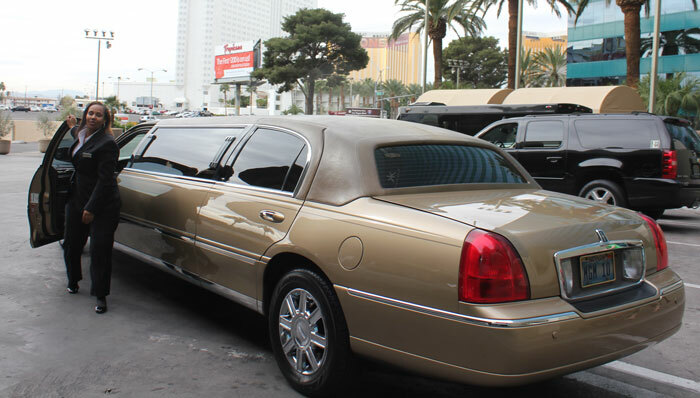 like us, then MGM has a fleet of gold stretch limousines to take you wherever you might need to go! Do Mancations Have to be About Being Rough and Tough?